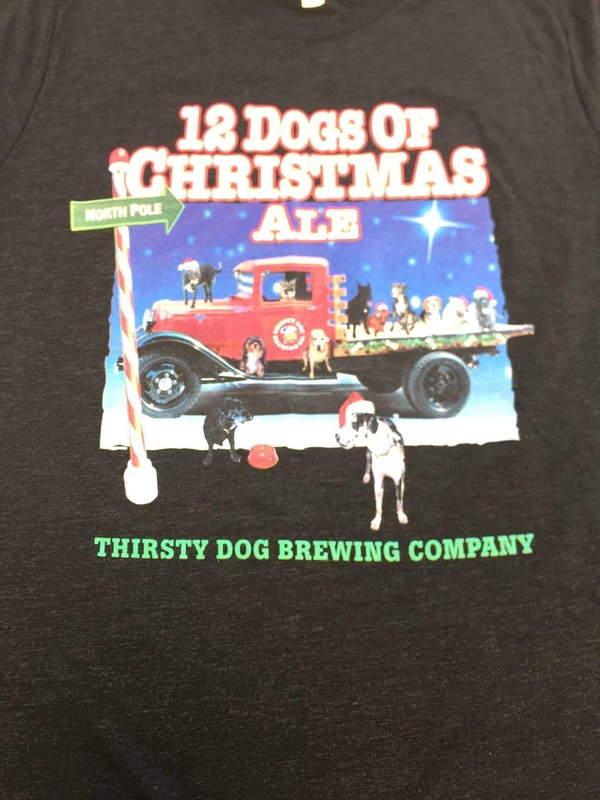 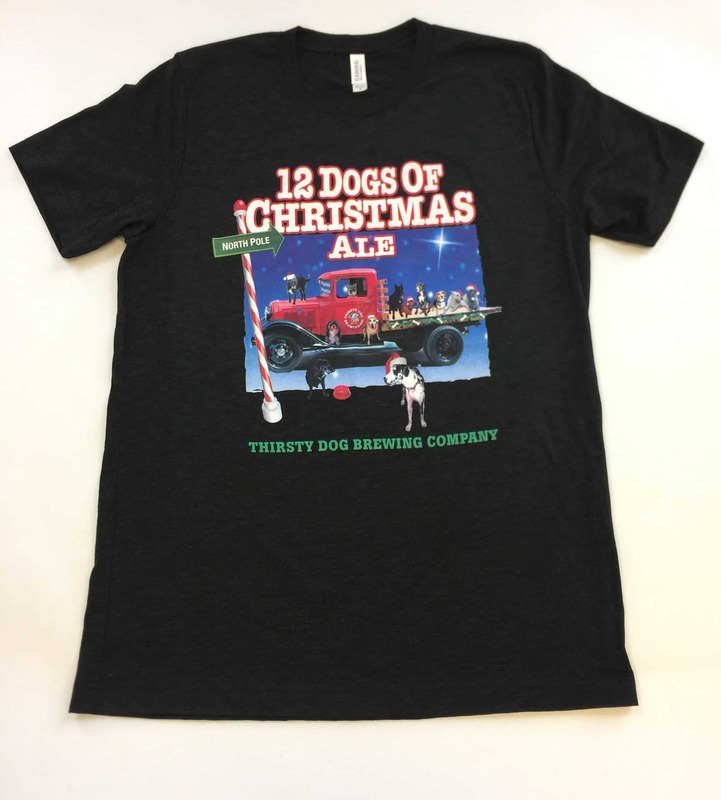 12 Dogs of Christmas Ale T-Shirt | Thirsty Dog Brewing Co.
Thirsty Dog has a NEW 12 Dogs of Christmas tee! 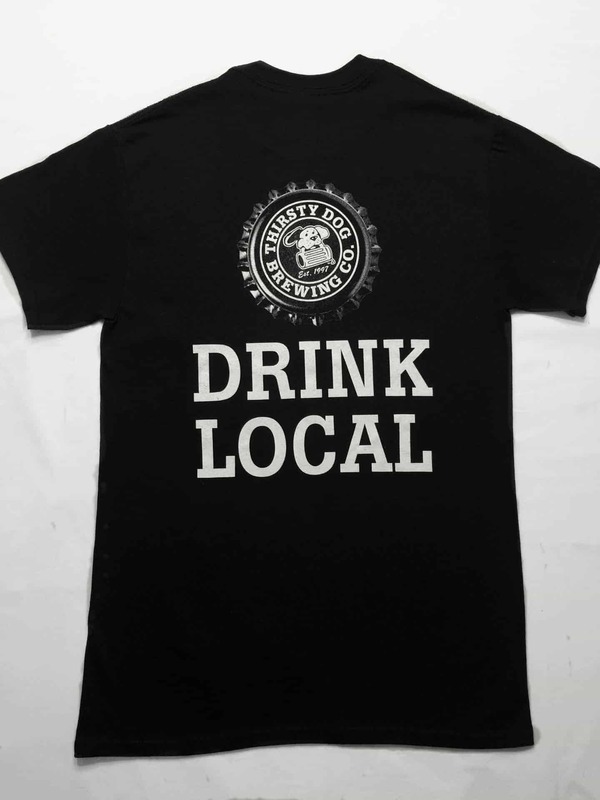 Check out the cute dog tree on the front of the shirt and our logo in black and white with large “Drink Local” on the back. 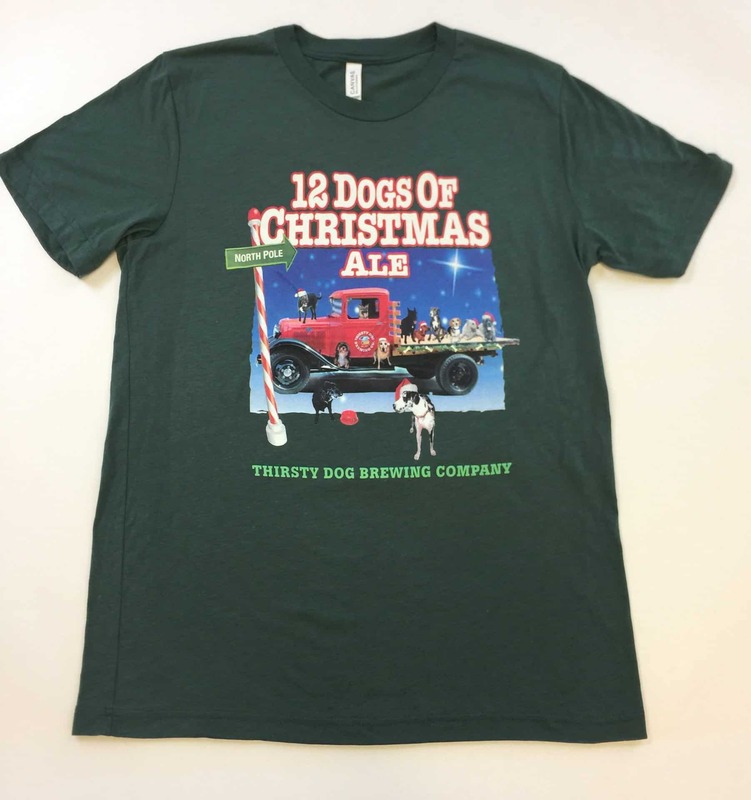 Super soft Tri-Blend Thirsty Dog 12 Dogs of Christmas T-shirt. 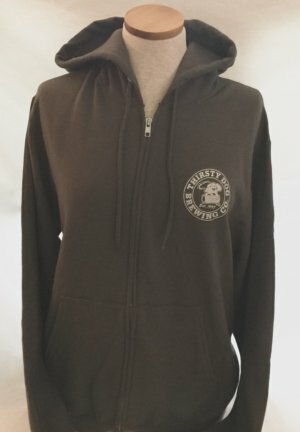 Comes in a variety of great colors. 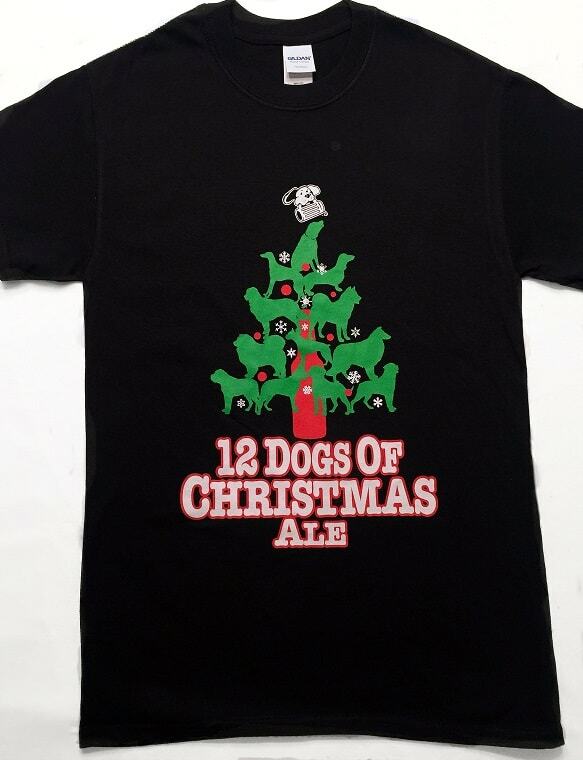 Its hard enough to choose just one color and once you feel how soft it is your going to want them all! 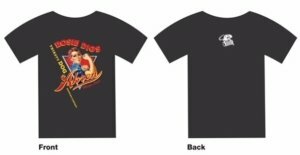 Available colors are: Black, Charcoal & Green.